Six hundred and fifty years before the Incas built Machu Picchu, another civilization was working on its own cities of gold. As the waves of the Caribbean lapped against the shores of northern Colombia the age of the Tayrona had begun. It was the year 800AD and in the hot and steamy jungles of the great pyramid that forms the Sierra Nevada mountain range, the Tayrona laid the first stones in the city of Teyuna. 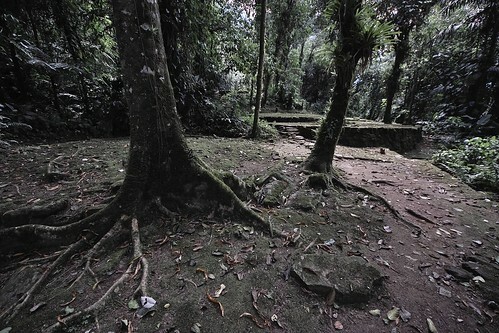 It is now known as La Ciudad Perdida… the Lost City. Teyuna pulsed as the heart of a network of smaller settlements along the ridges and valleys of the highest coastal mountain range in the world. The peaks of the Sierra Nevada loom over 5,700 meters (18,700 feet) above jungles stretching to the sea. In the shadows of these glacier-capped giants, priests, artisans and militia worked to expand a civilization. 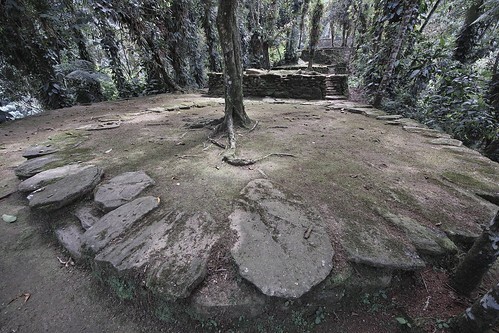 It’s thought that between 4,000 to 10,000 people lived in La Ciudad Perdida and that the city encompassed over 12,000 square meters (129,167 square feet). Bridges and drainage systems allowed the structures to withstand a world of crumbling forces, including torrential tropical rains, engulfing jungle growth and time itself. Teyuna sits on a 1,300 meter (4,265 feet) high ridge above the valley where the Buritaca River twists and thrashes over rocks. When the Spanish conquistadors invaded Colombian shores, Teyuna was abandoned. In the greater world of the Tayrona, the introduction of smallpox and syphilis played a part in silencing the rest of the civilization. They pulled away vines and tore back foliage. A fever gripped them. The rainbow plumage of tropical birds was no longer enough. They were hunting for another color. They smashed and cut their way along pathways until they reached platforms where houses once stood. And by the houses were graves. They dug deep into the earth. They became tomb raiders. Their hunger was rewarded with the luster of a metal that has fuelled dreams and expeditions to the other side of the world in times when people were unsure if they would just fall off the end of the earth itself. The tomb raiders found golden idols and artifacts where the last of the Tayrona living in La Ciudad Perdida had been laid to rest. Drunken tales began to filter out of bars in Santa Marta. Glimpses of gold in heated arguments under the barrels of wavering guns. The evidence was there. It took three years before officials stepped in. 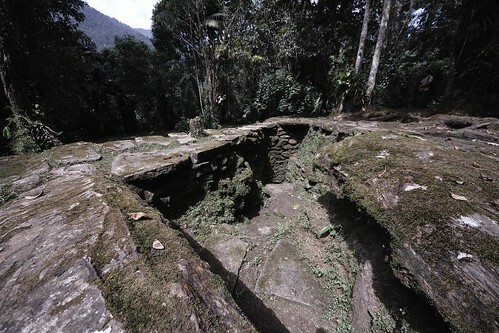 Then in 1975 the Colombian government claimed La Ciudad Perdida. The tomb raiding missions stopped and the careful excavations, restorations and mapping began. 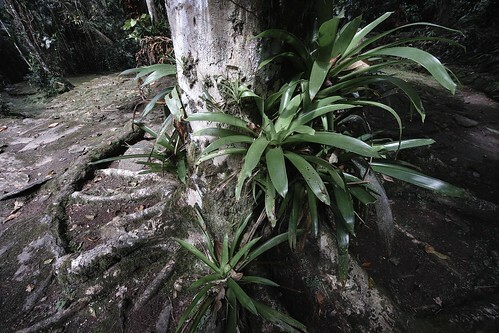 The only way into the city is to climb 1,200 mossy stone steps from the Buritaca river. 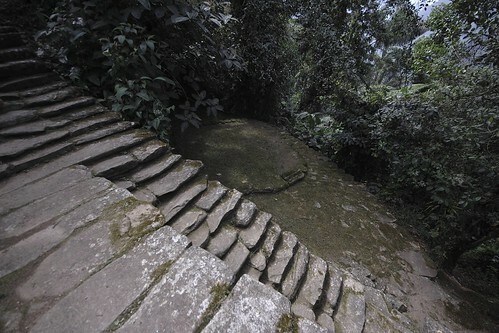 The path leads to the 169 stone terraces that make up La Ciudad Perdida in its current state. Three thousand square meters of the site are open to explore. Houses, plazas, ceremonial areas, stone-lined paths, staircases, canals and storehouses make up the many structures in the city. 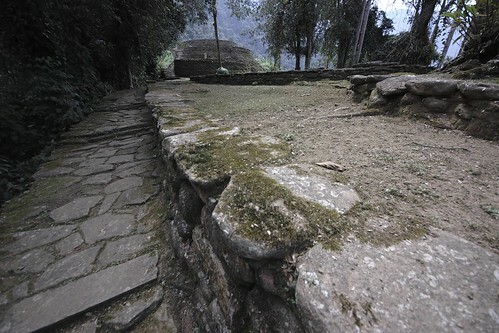 A winding staircase leads to a ceremonial platform at the core of the ruins. The architectural style in Teyuna is unique. 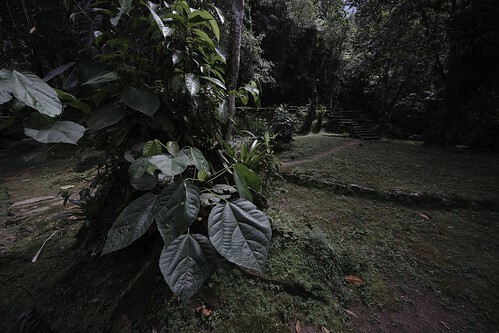 Ceremonial terraces form the center of the Lost City. 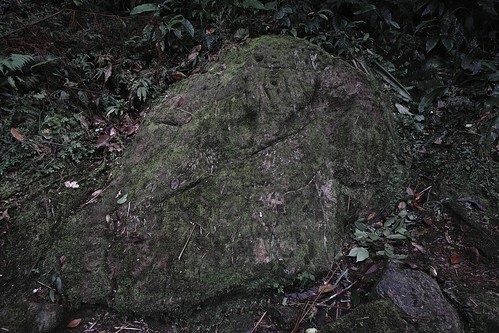 There is also a rock that is said to be a map of the city. But some say it is a map of the mind. Only a few people are said to understand the complex plan and fewer will translate it for fear of attracting more tomb raiders. There is also la Piedra del Sapo, a stone symbol representing the Tayrona Indian’s animal Gods and la Silla del Mamo, the chief’s thinking chair. But the jungle still hides another 9,000 square meters (96,875 square feet) of the structures in thick growth. Once the tangled vines and leaves are cut away, more light may be shed on this ancient civilization. Gold is the only metal that has been found in La Ciudad Perdida so it remains a mystery how rocks were cut. Like the Incas after them, the Tayrona left no written records. 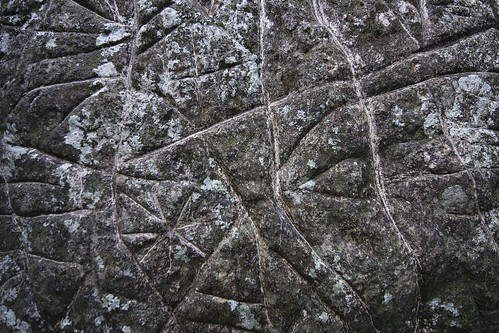 But over 250 of their stone settlements have been found across an area of 5,000 square kilometers (1,931 square miles). Now La Ciudad Perdida has new guardians, the Kogi. These ‘elder brothers’ are said to be the descendants of the Tayrona. They watch over the earth and us, the ‘younger brothers’ from their villages high in the Sierra Nevada, which they call, ‘the heart of the world’.